Police shooting decisions have come under increasing scrutiny, and the degree to which potential jurors and witnesses understand those decisions is increasingly important. Officers under the stress of shooting situations may use profanity which may be recorded, but which does not relate to tactical outcomes. This research addressed how such profanity may influence public assessment of police performance. A paragraph was provided to respondents, describing a situation in which a male officer shot an armed adult male perpetrator. The officer was presented as either having used or not used profanity in the situation. Respondents were asked to address the officer’s performance under these two different sets of conditions. 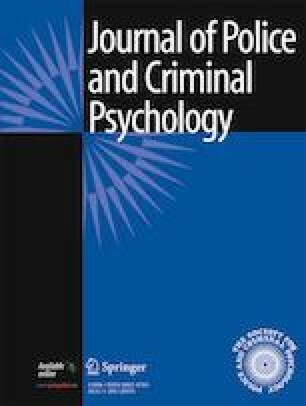 Profanity resulted in a significantly higher perceived level of officer guilt in these situations, and a diminished perception of his professionalism, but did not result in a lower level of perception as to whether the officer had successfully resolved the situation or had done the “right thing.” Results are discussed in terms of current cognitive theory and of practical application in the field and in court. Portions of this research were funded by a portion of a $5000 Summer Salary granted to the first author by the College of Science and Mathematics, California State University, Fresno. This project received full ethical approval from the Human Subjects Committee, Department of Psychology, College of Science and Mathematics, California State University, Fresno. The project was approved as a “minimal risk” procedure for human subjects. All human subjects of this research were provided with full informed consent according to the ethical standards of the American Psychological Association, standard for this field. All were adults, and all indicated that they had fully read the Informed Consent form and the research descriptions contained therein, and signed the form to give their consent to participation in the research.